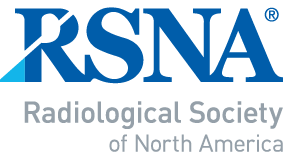 The Radiological Society of North America (RSNA) is an international society of radiologists, medical physicists and other medical professionals with more than 54,000 members across the globe. RSNA hosts the world’s premier radiology forum , drawing 55,000 attendees annually to McCormick Place in Chicago. Radiology – With an impact factor of 7.296, Radiology is one of the top cited journals in the field. Each month the journal publishes over 300 pages of original peer-reviewed research, authoritative reviews, well-balanced commentary and expert opinion. RadioGraphics - Published bi-monthly online and in print, Radiographics is one of the premier education journals in diagnostic radiology with an impact factor of 3.427. A special issue, a monograph focused on a single subspecialty, is published each October. RSNA also offers the Radiology Legacy Collection, a searchable electronic archive of Radiology issues from 1923 to 2008. Perpetual access to the Collection, which includes 85 years of Radiology history, is available for a one-time fee. Want the latest news and updates from RSNA ? Stay connected!